You are here: Home / Featured / Opinion:Certification Matters -Part 2- Knowledge or Experience – Which is more valuable ? Opinion:Certification Matters -Part 2- Knowledge or Experience – Which is more valuable ? Is knowledge or experience better when hunting for a position ? It’s a good topic and worth putting some ideas down here and having a discussion. I was an officer in the US Navy and a pilot until last year. I taught myself netwoking though I have a BS in computer engineering. I have a CCNP and have passed the CCIE written. I have blown people away at technical interviews with what I know as compared to what my experience says I should know. If experience is the only metric how is anyone ever supposed to get hired for anything? This seems to open up the question, is knowledge or experience more valuable when looking for a job ? Knowledge is a vital requirement, or is it experience ? Here is the recursion, some of this you can get in a text book, but some of it only comes with practice. That is, being able to drive the Juniper ScreenOS interface is something that needs practice and while knowledge of how a firewall works can get you going and halp you get an outcome but configuring a live system requires someone who has hands-on experience. The reverse is also true. That someone who has substantial experience on firewalls, may not be have specific knowledge about the configuration that they are trying to undertake. An example might be the addition of dynamic routing to a firewall (a recent addition to many firewalls) that the individual’s experience may never have covered. Or perhaps, application inspection is required to address a particular security issue, and the individual has no awareness of the application to be protected and thus makes a fundamental mistake at implementation. I imagine that a reasonable parallel might be a pilot who has all the theory and an amount of simulator time but no actual flight time. You can know all that you need to know, but real experience is needed for someone to hand you the controls and tell you to fly the plane from London to Barcelona. Is that a valid analogy ? I think so (although flying an airliner has greater risk to life than networking). Or are we too quick to assume …. As a team leader or senior engineer, am I too quick to assume that lower levels of competence or lack of experience will cause problems ? The answer is yes. Many times a junior person make a basic mistake during the upgrade of a system, or a configuration change. This means that every action with the equipment, from simple operation is a significant risk and, generally, networking mistakes have an impact that is not proportional i.e. 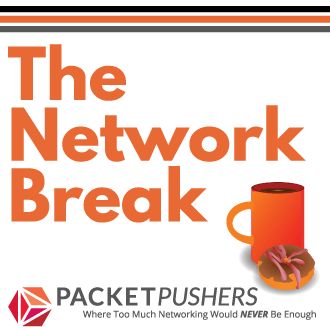 network mistakes tend to cause major outages. 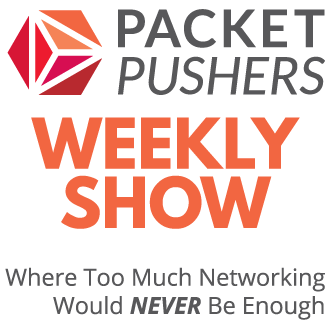 How do you get into Networking ? I don’t believe there is any magic cure for this. Some people get into a good networking job by starting out small, showing their capabilities and get promoted. This often occurs in bigger companies by working in operations and then progressing into design or implementation roles. Other people work for smaller resellers who are willing to give you a chance, however, you probably will be paid less than you are worth and you need to make sure that you move jobs often to reach your full potential. If you take this route, make sure you look for opportunities that allow you to progress, and make sure that you take them. When the market is booming, some companies can be so short of good choices that they can take you on and throw you in the deep end. This is sometimes called “lucky” (but it doesn’t always feel like it when you are going through it). And the time honoured tradition of “knowing someone” who can, somehow, support your application or offer to coach you once you are in the role. I am sure that there are other, but maybe this is a start in describing your options. At one point, I was forced to attend a “Presentation Skills Training Course” which, I admit, I absolutely hated. But this was presented by a leading training company and it taught me things I didn’t know I needed ((knowledge over experience again ?)) and since that time I have been comfortable with presenting. In my case, this was reinforced by presenting to large audiences shortly after completion and this helped to polish my (nonexistent) talent. But it has been valuable in being confident in working with senior management and customer presentations. I guess that this means that not only is technical knowledge and technical experience, remember to develop your personal skills, as they will let you go further than technical skills only. I would say that knowledge is first, and experience is second. Once you have knowledge, to opportunities to gain experience for far more likely than the reverse. I still feel that experience is less important than knowledge. Certification remains as proof that you can get, can learn and can prove that you have the knowledge. I’ve followed the thread on etherealmind with interest as I reckon i fall between the gaps… in that there is a transmutation between knowledge and experience that depends up on exactly what you are (t)asked to do…. I used to manage a multi vendor test model – loads of hands-on experience, yet probably fairly thin on the “knowledge” front – enough to get by in any area, yet by no means considering myself an expert. ( yet I managed to get a fair reputation simply from applying “experience” from one environment / system onto the problems with another )…. My point is that there are roles that will call for a varied mixture of experience and knoweledge – and I’d say it was generally easier to build someone’s knowledge in an area then their experience…. I was quoted, that’s cool. The route I went was to work for a smaller company. At first they didn’t really pay what I was worth but after proving myself to them they came around. I was willing to work for less acknowleging that they needed to see what I would do. I also sought out larger companies that had programs the paid less but gave you the exposure you needed like Cisco’s Associate Network Consulting Engineer program but couldn’t wait for 12 months for the next class date. I don’t envy any hiring manager’s balancing act in this regard to which one to give more value. I can only hope they are sufficiently impressed with my being certified and the rest of my resume to even talk to me. The net result here is that you “bought” your way in by getting paid less than you were worth. Welcome to capitalism I guess, becuase this is the most common route. The only thing is that many people fail to keep moving jobs (particularly in countries like America where people feel tied to their jobs i.e. health insurance, 401k) and this fail to match their potential. Can’t argue with my having bought my way in. I am always looking for something better though. After being in the military for 12 years if I’m not doing something new after 12 months I start getting antsy.